Colon and Rectal Surgery Associates celebrates Colon Cancer Awareness Month by participating in Dress in Blue Day on Friday, March 4th, 2015. Currently, colon cancer is the 2nd leading cause of cancer deaths in the US – but it doesn’t have to stay this way. Over 80% of all cases can be prevented with recommended screening. Recommended screening means having your colon checked regularly if you are age 50 or older – or sooner if you are at higher risk. A simple test saves lives. Join Dress in Blue Day this Friday, March 4th, 2015 to help raise awareness for colon cancer. Visit www.dressinblueday.com to learn how you can make a difference. Dress in Blue Day began in March of 2006 as a local event in Seattle. In an effort to raise awareness of colon cancer and the importance of having your colon checked, Colon Cancer Alliance volunteer and colon cancer survivor, Anita Mitchell worked with her children’s school to coordinate a recognition day. Each student donated $1 to colon cancer research and wore blue to raise awareness about the disease. Today, Dress in Blue Day is a nationwide event that raises awareness about colon cancer and its prevention. Communities, schools, and workplaces across the country encourage people wear blue to stress the importance of getting your colon checked early. For more information on Dress in Blue Day, visit www.dressinblueday.com. A simple test saves lives. 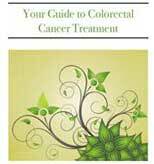 Colon cancer is one of the most easily detectable forms of cancer, and one of the most treatable when caught early. To learn more about what you can do to prevent colon cancer, please visit the Colon Cancer Alliance website at www.ccalliance.org, or call their toll-free Helpline at 1-877-422-2030.